Protective projector case custom designed for the Epson EB440W, EB450W, EB450Wi, EB460 and EB460i range of short throw projectors. Must use a Loxit heavy duty cable kit to secure the case to the building. 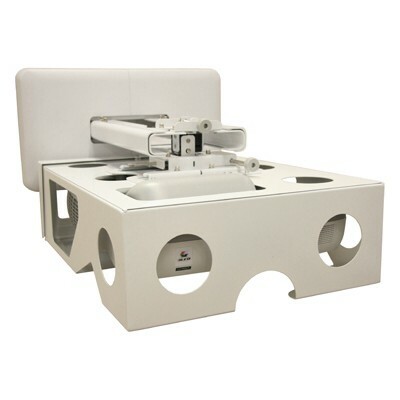 Designed specifically for the Epson EB 440W, 450W, 450Wi, 460 and 460i projectors, when coupled with Loxit’s heavy duty cable kits, the case offers excellent protection against opportunist theft. The highly ventilated design ensures no heat build up. High level of projector protection. Security compatible with Loxit’s heavy duty projector security cable kits. 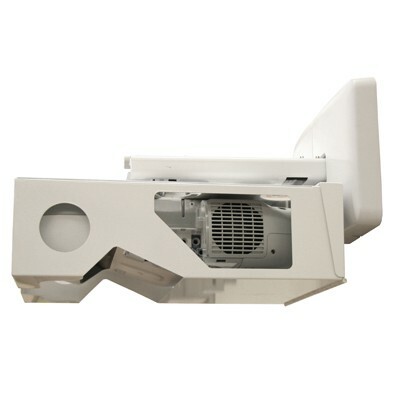 Projector protection and security designed specifically for the Epson EB 440W, 450W, 450Wi, 460 and 460i projectors. Full length piano hinge to front door. Secured by easy to use plunger lock. For use where security and potection is required for the Epson EB440W, EB450W, EB450Wi, EB460 and EB460i range of projector short throw projectors. Security compatible with Loxit’s range of projector security cable kits, the EB440W projector case provides a high level of protection from opportunist theft.